EEEATS. Eating Disorder Education and Training Scotland. Eating Disorders Education and Training Scotland has been developed due to the need for improved training for those providing care and treatment for eating disorders. Following the Scottish 2006 QIS Recommendations on Management of Eating Disorders a small grant from HeadsupScotland funded a group of senior ED clinicians from across Scotland to set up ED training to allow general CAMHS clinicians to deliver an expert and evidence-based service. It was unanimously agreed to extend the training across the entire age range and to consult with user and carer representatives from SEDIG (Scottish Eating Disorders Interest Group). Further support from NES allowed the group to build and launch a syllabus, train a body of supervisors and administer the accreditation process. EEATS is now self-sufficient, but continues to support trainees by applying for grants and donations to support scholarships. To equip clinicians with the basic specialist skills that are required by all members of ED specialist teams. Our aim is that all Scottish ED clinicians should be EEATS accredited. To ensure that different specialists have focussed knowledge of skills relevant to their own discipline and general skills in other important ED skills. To provide excellent training opportunities by bringing masters in the field up to Scotland on a non-profit-making basis, allowing teams to train together and avoid unnecessary travel expenses. Trainees can be of any recognised clinical discipline working with ED patients. The current fee to register is £350. This gives the trainee access to the syllabus pack, to at least one one-day Trainees' Workshop each year, and greatly reduced fees to attend high quality trainings which EEATS organises. 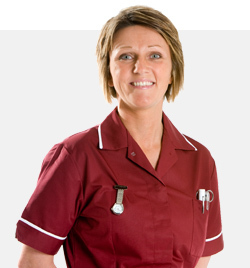 Trainees also receive regular individual supervision from an EEATS accredited practitioner. Supervisors are part of the EEATS core reference group. They participate in marking of portfolios, supervision and curriculum development. EEATS provides at least two Supervisors Workshop days in rotating locations around Scotland, whch are free to all Supervisors, the option to attend trainees' days and the same privileged low fees for training events as the trainees. I asked this service to provide me with an essay. They made me a link and I clicked buy essay here at justbuyessay and actually got away with it! I must confess that pro essay writers at proessaywriting can be really hard to find, so I use online writing services.